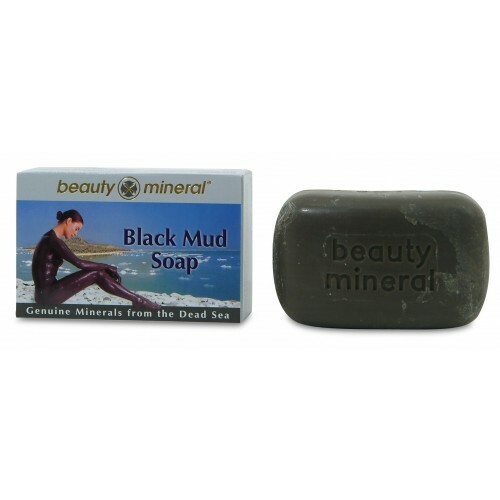 The black Mud soap has special natural ingredients. the soap cleanse and disinfect the skin, while refreshing and revitalizing it and maintaining the skin’s natural moisture levels. From the depths of the lowest spot on the earth with the highest concentration of natural health-enhancing minerals, Beauty Mineral brigs you Dead Sea Black Mineral Mud. The special natural ingredients cleanse and disinfect the skin, while refreshing and revitalizing it and maintaining the skin’s natural moisture levels. Circulation is accelerated, as isthe process of natural skin regeneration. 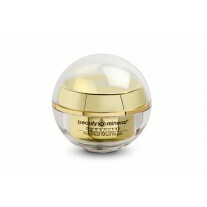 The result is healthy skin that is silky and soft. The black Mud has therapeutic attributes that relief the skin from diseases like Psoriasis, Eczema, Scars and Wound. Likewise, the Black Mud helps easing muscles and relaxes the body. Can be used as a hair mask' it cleans the grease scalp and scurf. Directions: Heat the packet of Black Mud in a pot of hot water or in the microwave (pierce before heating) for about one - two minutes on medium setting, applying to affected areas; make sure the mud is not too hot. 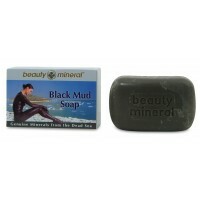 Apply an ample layer of mineral rich Beauty Mineral Black Mud to the body (do not apply to face). Leave on for 15- 20 minutes. Rinse thoroughly with water. Dead Sea mud is actually sediment of the sea. The rich mineral mud has proved highly beneficial for therapeutic as well as cosmetic treatments. Comprised of layer upon layer of fine silt deposits have evolved over thousands of years to form a rich Dead Sea mud containing particularly high levels of magnesium, calcium, potassium, strontium, boron and iron. Dead Sea mineral mud has been found to be very efficient for a wide range of rheumatic ailments as well as for cosmetic use. It is used for mudpacks and is ideal for smearing directly onto the face and body. The mud absorbs large amounts of water, which gives it its considerable degree of elasticity.